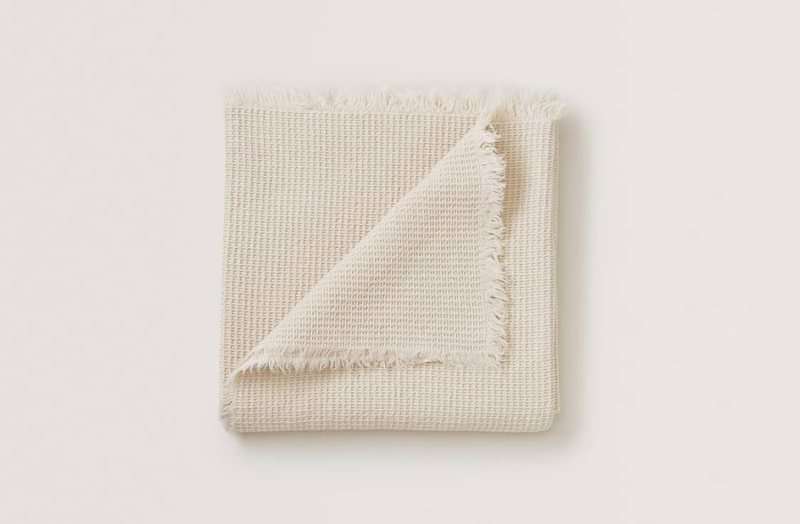 Our waffle structure blankets are made of 100% cotton with a 2 cm gorgeous fringe all the way around the edges. It is light to medium thickness and on the larger side so that you can have it both in the bed, the couch and folded in the stroller. Care: Wash on gentle cycle 40°C. Do not tumble dry.